Deep house label Steyoyoke has turned the heads of many since its launch in 2012 and with an ever growing caliber of artists to boast, it’s no surprise to see it acknowledged as a breakthrough label in the industry. Their talented team of DJ’s and producers have seen recognition from some of the industry's biggest heavyweights and much of this can be accredited to the label’s quality productions. 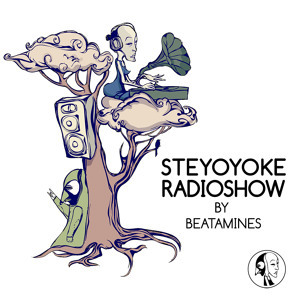 Steyoyoke Recordings was founded by passionate like-minded individuals, who as a group sustain the rare power of bringing together some of the finest music and art. Eye catching cover designs has always been synonymous with the label and more recently, the innovation of their very own music genre ‘Ethereal Techno’, has thrust both the Steyoyoke sound and branding. Steyoyoke is dedicated and committed to discovering only the most forward thinking musicians. This enables the label to remain firmly planted in the underground scene, where they have the ideal environment to continually exceed any boundaries within the industry. Steyoyoke's mission is to create a nurtured music experience that really understands the heart and soul of good music and this is upheld by the label's vanguard approach and constant flow of new projects. 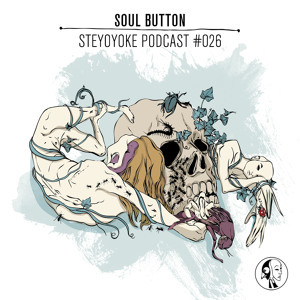 In 2014 Steyoyoke Black was birthed from these very philosophies, paving way for Steyoyoke's first sub label, as well as forging a fresh avenue in welcoming the return of techno. Looking ahead, the label is planning to bring you its most refined roster of artists yet. Gathering a repertoire of producers that they are proud to work with, the label couldn't be more excited to share with you its future projects and new found talent. The main roster consists of Soul Button, Dahu, BLANCAh, Nick Devon and MPathy.